The Big Picture Fest is the largest and greatest artist driven Street art festival, held in numerous cities around Australia. From the 29th October to the 4th November, the Big Picture Fest was held in the community of Port Pirie. The festival aims to bring communities together with experienced Australian street artists, who have been commissioned to transform drab walls in high profile locations, with the murals being painted by local artists, transforming five walls located throughout the town. 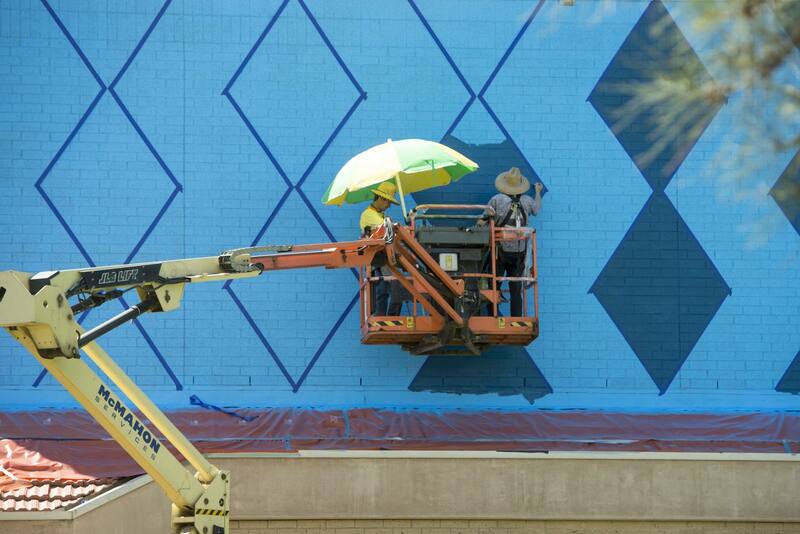 McMahon Services kindly supplied the use of our boomlift to the Port Pirie Regional Council for artist Sam Songailo to paint the Northern Festival Centre, and to Vans The Omega to paint the Rowe Partners building. McMahon Services are proud to have been involved in such an engaging community activity, and have thoroughly enjoyed watching the Port Pirie community transform!